I could not have been happier with my experience! They worked with us and made sure that we were satisfied every step of the way! They were prompt and came exactly when they said they would, and were highly communicative. For every event I do from here on out, I will absolutely use them! A great family-owned, local business! Everyone was friendly and they completely took care of set-up. The kids at the party LOVED having a bounce house. Definitely a good price for what you're getting and we'll totally use them again. We rented a dry bounce house/slide for my sons 2nd birthday. Chris arrived on time and it was a very quick set up. He was very nice and polite. The house and slide were very clean. Prices are very reasonable. We all had a blast, especially my son. He was playing on it every opportunity he had. 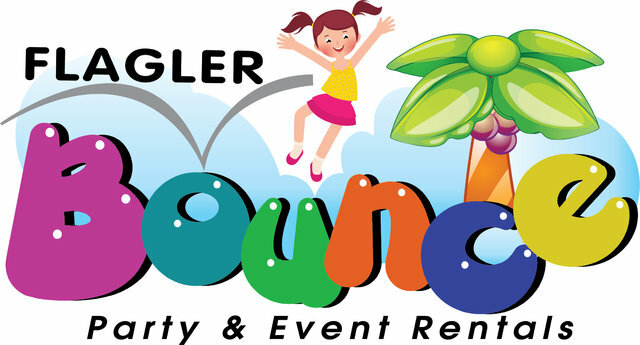 We would definitely rent from Flagler Bounce in the future. We rented a bounce house back in april, it was fast set up and the bounce house was nice and clean! Will do business with them again!